It doesn't work. Well, it might. 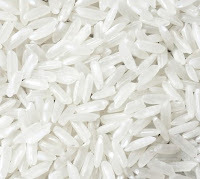 But there are better options and in fact, plain white rice was dead last among all other options tried. The only thing that fared worse than closing up a wet phone in a bag of plain rice was closing up a wet phone in a bag by itself. After 24 hours, the sponges were weighed again to see how much weight had been lost. 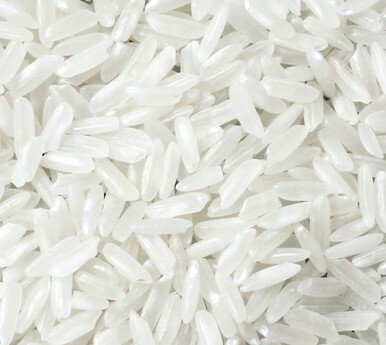 And would you believe it—according to the results, uncooked white rice placed dead last in effectiveness as a drying agent. Here's the list, from best to worst. Cat litter, instant couscous, instant rice, and instant oatmeal all performed better than uncooked white rice—everyone's favorite damn drying agent. I've been trying to tell people this for years. I used to work with high end GPS equipment. More than a decade ago, every time our equipment got wet it was opened and placed in front of an ordinary table fan to air dry. In the real tech industry wet equipment is disassembled, wiped with rubbing alcohol and then air dried. Look again at the list above. What came in first as the best way to dry out something that was sopping wet? Sense a pattern? This information is not new. The same people who proved that rice is next to useless for drying out your phone (or your vape, or your tablet, or your V/R gear, or...) have some tips on maybe saving it. So, what really happened when you put your soggy iphone in a bag of China Doll and it got "fixed?" I'll let you in on a secret. First, you have to be virtuous. It does not work for the wicked. Ever. Second, you have to say a little heartfelt prayer over your nearly dead device. Then you leave it in the rice overnight. The Rice Fairy comes in the wee hours and takes some of the rice to cook for her little Rice babies. In her gratitude she waves her magic rice wand and restores your phone. Amen.